The Trump rally has taken the world’s equity markets to new highs in many countries, and together with the fall in the value of the pound, has made the past year among the best 12-month periods for investors in living memory. What next? Can the good times keep rolling? In the latest Money Makers podcast I sit down for half an hour with Mark Dampier, Research Director at Hargreaves Lansdown, the number one platform for private investors in the UK, to discuss the market outlook and where the best opportunities and greatest risks lie now. Jonathan Davis, Money Makers editor. 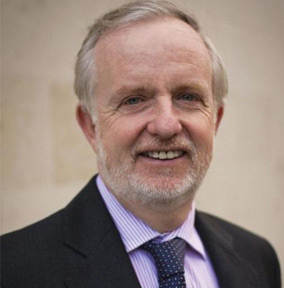 Mark Dampier has been head of research at Hargreaves Lansdown, the UK’s largest independent stockbroking firm since 1998. He has been in the financial services industry for over 30 years, initially working as an advisor helping individual clients to invest their money. He has become one of the best-known and most widely quoted figures in the fund management industry. He writes a regular column in the Independent on funds and markets and regularly comments in the national press and on broadcast media. 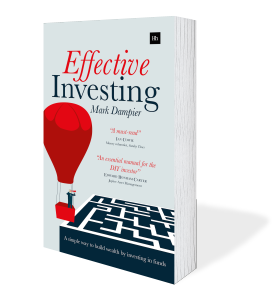 He is the author of the bestselling Effective Investing (Harriman House).